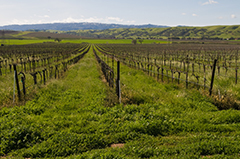 Prestige Limousine offers wine tours to Northern California’s best wine regions. We offer special, customizable packages to Napa Valley, Sonoma and the Livermore wineries. What could be a better way to enjoy the most world renowned wineries than with the elegance, comfort and class Prestige Limousine has to offer? 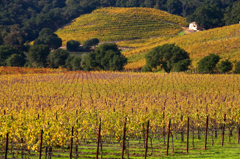 Napa valley is world renowned for its famous and upscale wineries such as Mondavi, Beaulieu, Beringer and many more. And Prestige Limousine’s Napa wine tour is the ultimate way to enjoy wine country. You’ll enjoy the best that California’s premier wine region has to offer from the area’s most famous wineries, to its most best kept secrets. We also offer customizable packages to all the most beautiful gems in the Sonoma and Livermore wineries. Each wine region has its own wonderful history and unique wines that you can experience with our limousine wine tour packages. Tailored to fit your budget, you can choose as many wine tastings and winery tours as you wish. You can also combine a Napa and Sonoma wine tour so that you have one fantastic relaxing day to enjoy all of wine country. Our knowledgeable chauffeurs have many years of experience in wine country and can help you craft a perfect itinerary for your perfect day in wine country. All our Napa, Sonoma and Livermore wine country tours feature door-to-door pick up and drop off, a fantastic tour of the historic region, beautiful scenery, and a luxurious comfortable ride so that you can enjoy some of the best wines without having to worry about the drive back home.